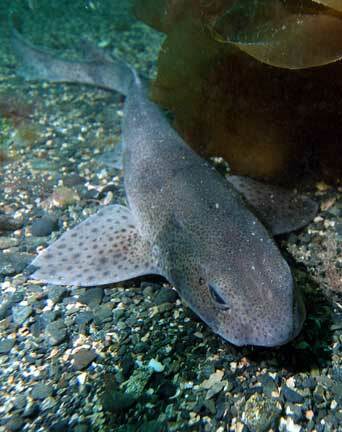 Lesser spotted catshark in kelp. 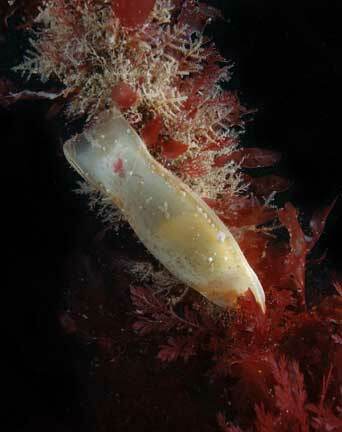 Catshark egg capsule. 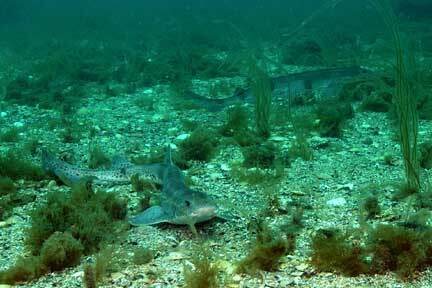 All photographs by Andy Murch all rights reserved. 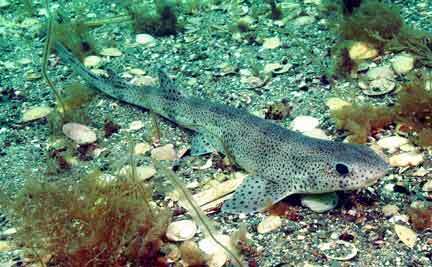 In early June catsharks are often found in pairs.